This week it was finally time to see Olivia Munn’s Sloan Sabbith (Let’s see Sylvester the cat pronounce that name!) in the spotlight. Let’s see THE NEWSROOM try to redeem its reputation for depicting women poorly. Sloan is an interesting character: She’s the smartest person on the show, but she’s much better with numbers and economic theory than people. If she were a male character, she’d be a nerd or a geek that the other characters make fun of. (Neal almost faces this problem, but the show pulls back from outright ridicule.) Instead, creator Aaron Sorkin prefers to show Sloan repeatedly put into situations in which she is very uncomfortable; and she’s not very adept at wriggling out of them. She didn’t want to be Mackenzie’s galpal, but she couldn’t avoid it. 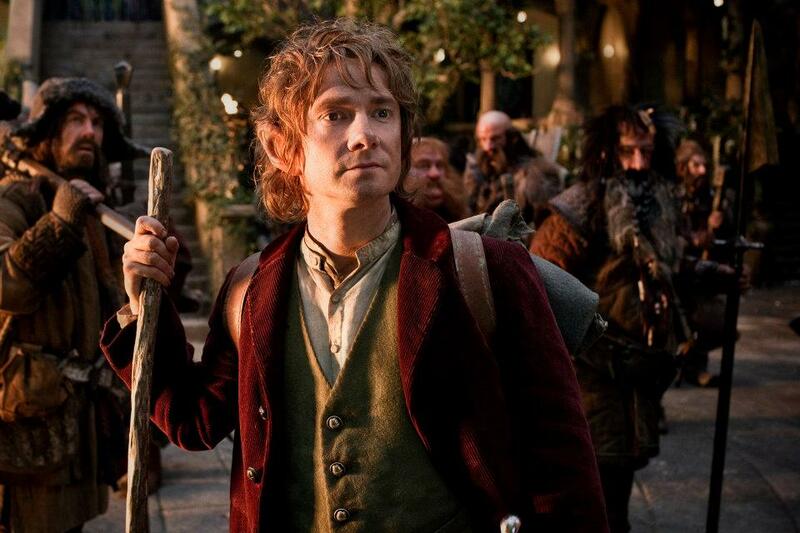 The Hobbit Movies — Too Much of a Good Thing? And you thought a battle of five armies was crazy! The news that no one in fandom wanted to hear has been confirmed: Peter Jackson’s two-film adaptation of The Hobbit has now grown another appendage and will be spread over the course of three movies. Yes, it’s a Hobbit triple-play. It was surprising enough when the 310-page novel was split into The Hobbit: An Unexpected Journey and The Hobbit: There and Back Again, but now, with three movies (no, there was no name announced), Jackson plans to incorporate much of the reams of extra material J.R.R. 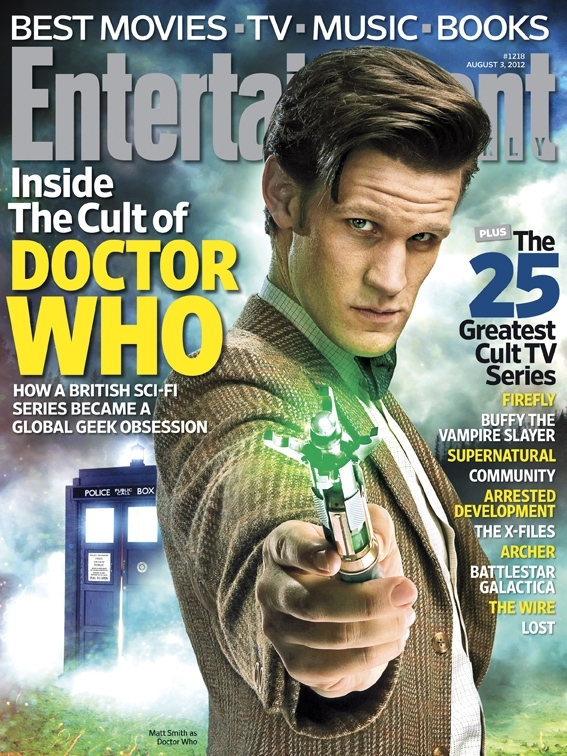 Tolkien included in various appendices alluding to action that didn’t take place in the novel. The Wachowski Brothers are returning to the science fiction genre in a big way with this fall’s ambitious Cloud Atlas, based on a sprawling, dense 2004 novel by David Mitchell. The Wachowskis are producing, and Run Lola Run’s Tom Tykwer is directing. Clocking in at just over five minutes, this trailer feels just as big and ambitious as the film itself, a time-travel story with a number of entangled narrative threads that reach from the 1880s to a post-apocalyptic future. The movie stars Tom Hanks, Halle Berry, Jim Broadbent, Hugh Grant, Hugo Weaving and a host of others playing multiple roles in the various story lines. Cloud Atlas opens Oct. 26. Battle Royale — the TV Series? 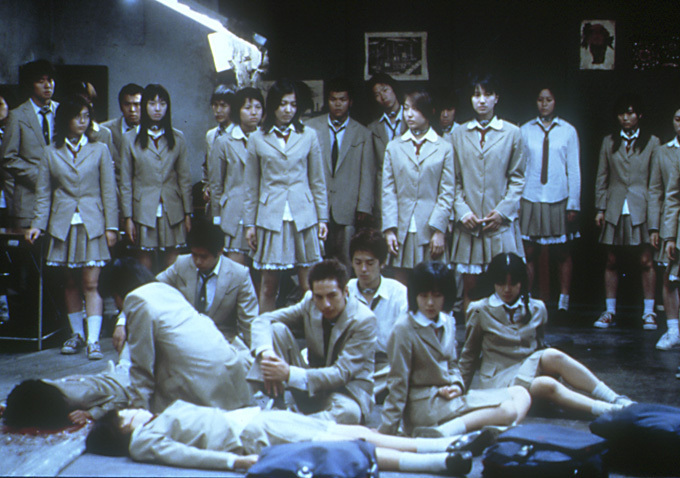 Adapting the 2000 Japanese cult movie Battle Royale into a one-hour weekly drama series for broadcast on American television channel The CW sounds like a great idea! For about 8 seconds. Then, one realizes that the series would have to be so bowdlerized that it would barely resemble its progenitor, so why bother? Kinji Fukasaku’s superbly brutal, highly polarizing movie (based on Koushun Takami’s 1999 novel) about Japanese school children pitted against one another in a fight to the death would be perfect for HBO or Showtime — premium cable networks that have the creative latitude to depict the ultraviolence necessary — not needed, necessary — to maintain the original Battle Royale’s satire and social commentary. After weeks of almost-cruel teasing, Lionsgate has finally confirmed the casting of Jena Malone as Johanna Mason in The Hunger Games: Catching Fire — as well as the two movies adapting Mockingjay. And I could not be happier! I love Jena and think she will be a hit with fans of the books. Johanna, the Tribute with “a wicked ability to murder,” is a fan-favorite character, and the hiring of Jena, a serious actress with top-shelf fighting skills, sends a strong message about the filmmakers’ intentions to do right by the book and the fans. Jena is perfect for the role — when I was reading Catching Fire, I was personally imaging either Jena or Emily Browning in the role. Jena can convey both the vulnerability and the savagery that Johanna used to manipulate and then kill her fellow tributes and win her Games. Did you notice that little smile before Rocket stalked down the trench, and then how she wielded her pistol like a hatchet?